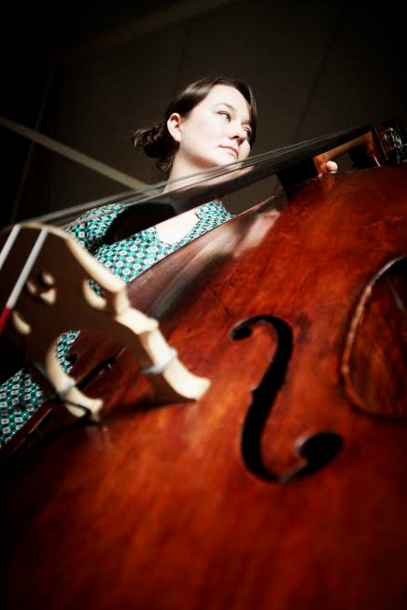 An esteemed composer and bassist, Tamara Murphy was awarded the inaugural PBS Young Elder of Jazz Commission for the creation and presentation of the work Big Creatures and Little Creatures (2011) with her group Murphy’s Law. This work was nominated for The Age Genre Music Awards, and Murphy’s Law was nominated for an Australian Jazz Bell Award in the same year. Tamara runs two ensembles: Murphy’s Law and Spirograph Studies, and is part of the co-led trio Keller-Murphy-Browne, which released their second album (Travellers) in 2015. Tamara plays a wide array of musical artforms and has a very active performance profile. Past performance and recording credits include: Andrea Keller, Allan Browne, Stephen Magnusson, George Coleman Jr., Bernie McGann, Lady Rizo (US), Ben Caplan (CA), Sarah McKenzie, Casey Donovan, Christine Anu, Sandy Evans and ATM15 along with many others. She has also toured internationally in New York, the UK, Europe and Asia. Tamara has received numerous grants to record her music and also to extend her craft through international study in the US and Canada. She currently teaches at VCA and Monash universities. Tamara teaches most styles of playing bass, specialising in improvised music. Emphasis is placed on a strong classical technique as a basis for all advanced performance on the double bass, regardless of style. On both electric and double bass, there is a strong focus on groove and technique.